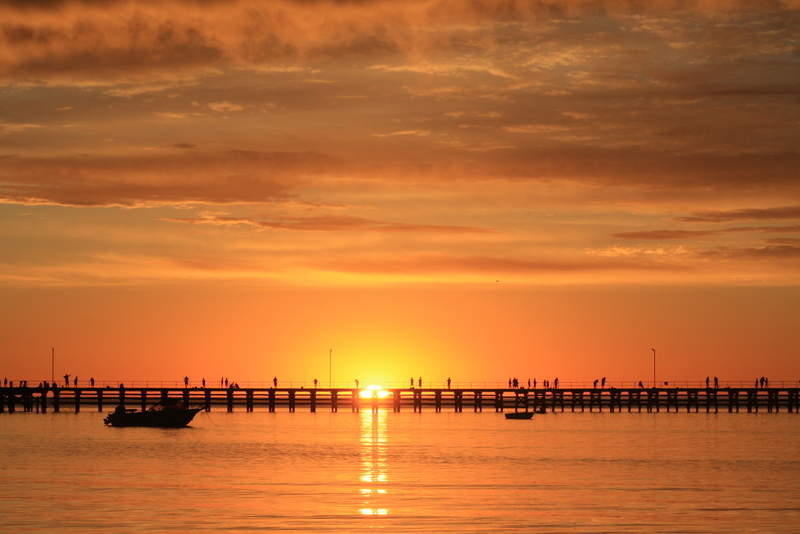 Each year our family looks forward to an annual holiday to one of our favourite beachside caravan parks on the Yorke Peninsula of South Australia. Every year for probably ten years or more now we make the two and a half hour journey from home to this peaceful, heavenly destination and over the years its reputation has grown. From a couple of families with caravans it has turned into a family and friends get together every year with people travelling from as far afield as Darwin, Melbourne and Sydney. I can’t think of a better way to enjoy each other’s company than to spend a week or two or three or four camping and caravanning, eating and drinking, fishing and beach combing with the people you love! The one event that is enjoyed by everyone and is not to be missed is our long table dining evening. Planning the evening when this is going to happen is critical and we try to make it when we have the most amount of people around as possible. We came up with a theme of curry night as it was a reasonably simple cuisine for everyone to have a go at and it has never disappointed. From earlier in the day each group makes a curry of varying heat and spice along with rice and all the accompaniments that you could wish for. Then over three campsites we set up tables joining together and everyone brings a chair and their eating utensils and we dine together. It’s a sight to behold in the caravan park with passersby loving it and waiting on their invitation! I think our record has been around 23 people all sitting down together at one long table and enjoying great food, fantastic South Australian wines and each other’s company. It’s a highlight of the holiday and leading up to the day there are plenty of phone calls and texts flying about all saying ‘make sure you don’t have curry night without me’. 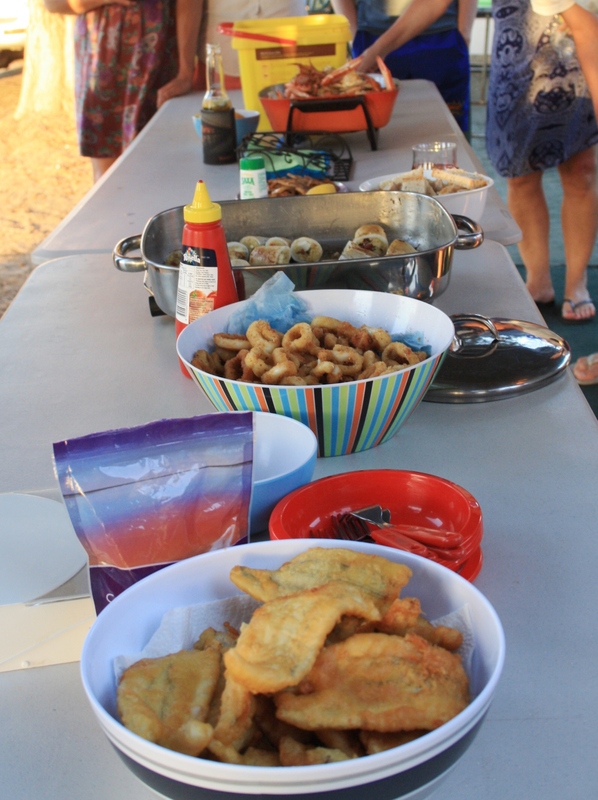 Apart from that evening we are truly spoilt every year having massive seafood cook ups too. This destination is fishing heaven and we regularly catch squid, whiting and garfish. We wait until we’ve had a successful few fishing expeditions, at the jetty or in small tinnies, and then we combine everyone’s catches and have a seafood smorgasbord to die for. 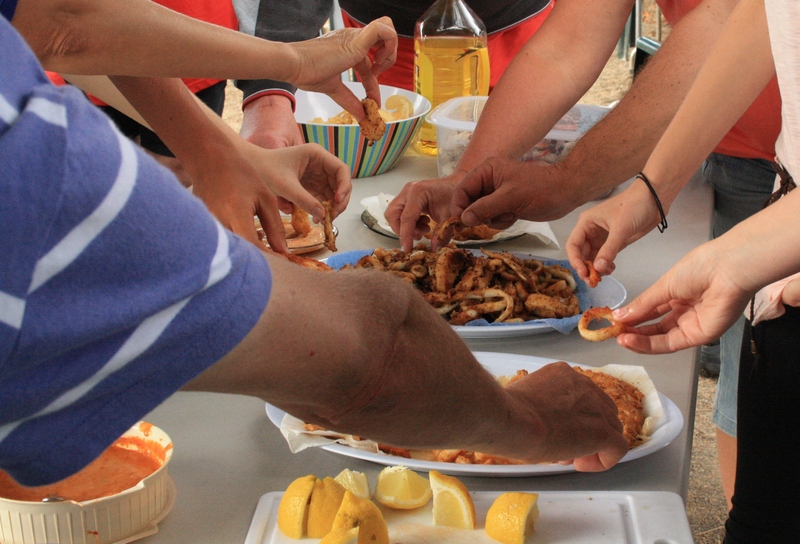 The table will be groaning with crumbed calamari, salt and pepper squid, stuffed squid, battered, grilled, crumbed and sometimes even smoked fish and sweet blue swimmer crabs. My mouth is watering just anticipating it again. And why the huge combined eating arrangements? Well with views like this every day why wouldn’t you want to enjoy it and share it with family and friends? The coming together to eat, drink and enjoy the surroundings has people coming back year after year and is something we all look forward to.